The new improved three point linkage comes with category one ball ends and stabilisers. It can be used as a front or rear mounted linkage on a tractor or utility vehicle, or mounted on wheels as a trailed implement carrier, or it can be adapted to fit to the tow bar on a 4 x 4 such as a landrover or other utility vehicle. This will allow the use of many small three point linkage implements with out the need for a dedicated tractor. The adjustable fixing plate will help the linkage to be adapted for a wide variety of uses. Where the vehicle does not have a rhydraulic service an optional remote hand pump with hydraulic reservoir is available. 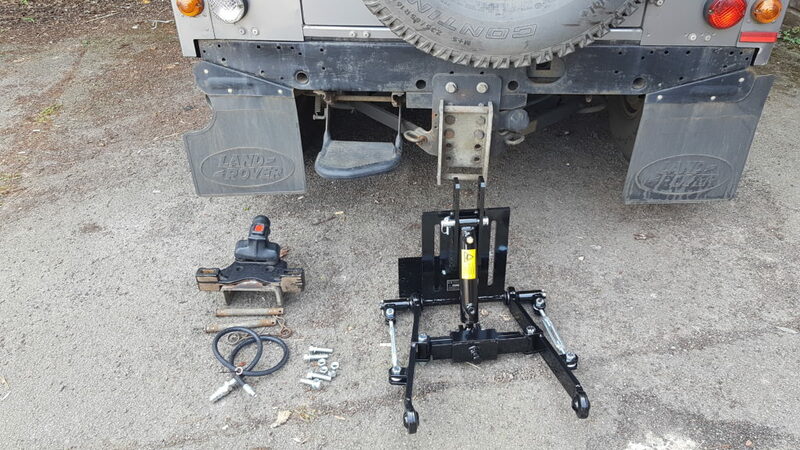 Price three point linkage with bracket £389 Remote hand pump hydraulic reservoir and pipe £137. For other trailed linkage options, see implement carriers.